Can we start a serious discussion about Toffee Tango, the infamous lipstick worn and loved by Mona Vanderwaal? Everybody knows the shade is part of the Maybelline lipstick range, but I’m sure here we have something similar to what occurred with Ravish Me Red in American Horror Story: Asylum, which means they took a real shade name and used it for a different lipstick. 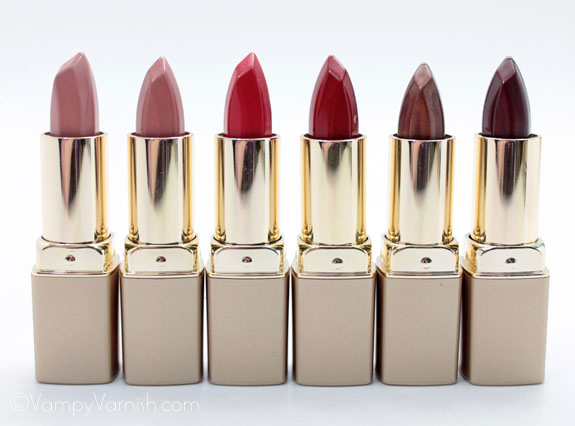 As for Toffee Tango, I have two theories: the real lipstick used by Mona could be Milani Color Perfect in Barely There or L’Oreal Paris Color Riche (no idea on the exact shade, sorry). 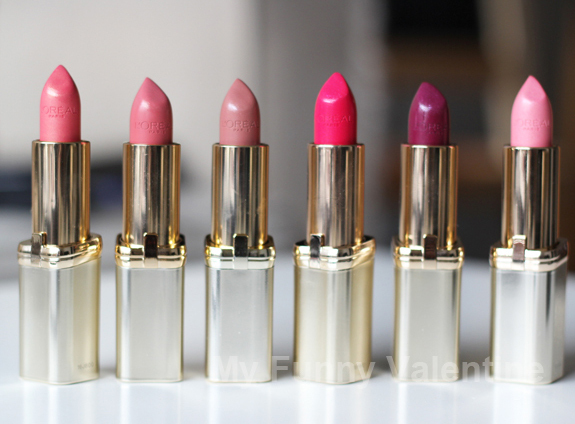 The shape of the lipstick cap and the satin golden case definitely point towards these two brands. I personally think it was the Milani one because the shade sticker on the bottom of the lipstick is round and not square as in L’Oreal one. In the past L’Oreal lipsticks had round stickers, but I don’t think they used an old lipstick in the tv show.